The flight tracking service FlightAware shows that more than 30 flights in and out of Reagan National Airport were canceled Wednesday. Dozens of flights were canceled and delayed at the three major airports in the Washington-Baltimore region as the Northeast recovers from a powerful winter storm. At Baltimore's airport, about 20 flights in and out were canceled. 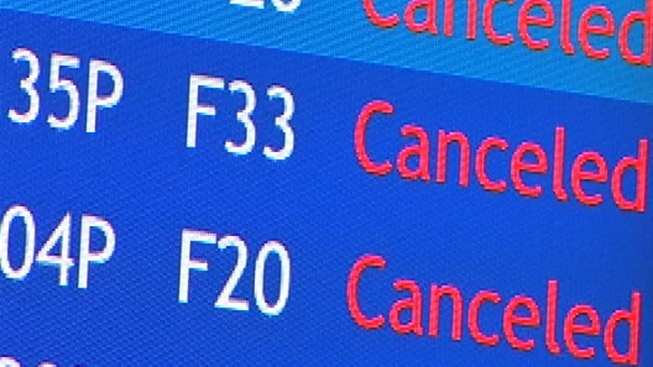 Just three outbound flights were canceled at Dulles International Airport. Hundreds of flights at the airports were canceled Monday and Tuesday because of a winter storm that walloped parts of the Northeast. The Washington-Baltimore region was dealt a glancing blow, with many spots seeing no more than an inch of snow. 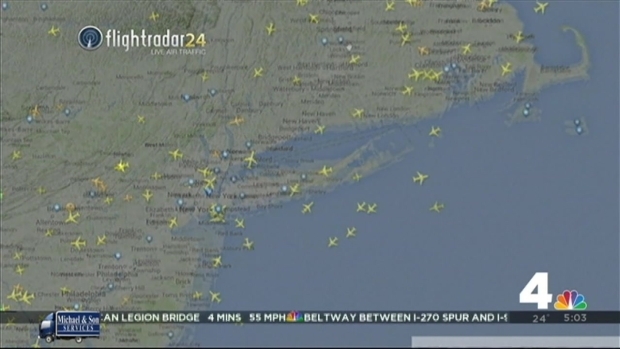 Airports across the Northeast scrambling to get back up and running after a winter storm pummeled parts of the region. News 4's Richard Jordan is at Reagan National Airport with what you need to know this morning. .
That's compared to the Boston area, which got more than two feet of snow.